We are told plainly in Scripture not to set dates for Christ's Second Coming, and we are given several reasons for that. Firstly, no man knows the day or hour of Christ's return, nor the angels in heaven, but the Father only. Those are the words of the Son of God, and yet men continue to try and set dates for Christ's return. Why? Secondly, because we are not told the day and hour of Christ's return, it behoves us to watch and be ready at all times. This principle is laid out in several of Christ's parables, of the five wise and foolish virgins, and again in the parable of the wise steward. If we knew the time of Christ's coming we might be inclined to grow cold, forgetting what Christ originally commanded us to do which was to "occupy till I come", Luke 19:13, not "occupy when I come". 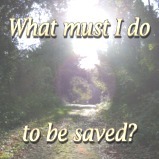 Like Christ, we must work "while it is day" (John 9:4), and always be doing our Father's business (Luke 2:49). But and if that servant say in his heart, My lord delayeth his coming; and shall begin to beat the menservants and maidens, and to eat and drink, and to be drunken; The lord of that servant will come in a day when he looketh not for him, and at an hour when he is not aware, and will cut him in sunder, and will appoint him his portion with the unbelievers. With that said, we must be extremely careful when it comes to prophecy. The Lord has a unique sense of timing, and sometimes like Abraham, anticipation can give way to haste, and soon we start planning our lives around prophecies we have created in our imaginations, instead of relying on God to fulfil His will. I know, I have done that with some promises God gave me, and I made a mess of things. If prophecy encourages me to keep looking up, if it encourages me to long for Christ's coming again, for which every believer is promised a special reward (2nd Timothy 4:8), then prophecy is profitable. But if I start relying on prophecy being fulfilled when I want it to be fulfilled, instead of relying on God, then we have gone too far. But over one third of the Bible is prophetic material, and the Lord does encourage us to study into prophecy. 1st Peter 1:12 states that even the angels desired to look into the things that were revealed to the prophets regarding the death and resurrection of Christ, and when Moses and Elijah were with Christ on the mount, they too were intrigued by the events that were soon to follow (Luke 9:31). Revelation is also the only book of our Bible where a special blessing is promised to those who read it (Revelation 1:3), yet it is one of the most neglected books in our Bible today. Jesus derided the Jewish leaders for their failure to recognise the Messiah. They missed His first coming, because they didn't know their Old Testament prophecy. Is it possible we could be making the same mistake they did? The Rapture of the Church used to be one of the most preached-on topics, now it is rarely mentioned. What are the signs Jesus gave that would show us when His coming was near? Jesus told his disciples a parable of the fig tree to illustrate when they would know His coming was near. Now learn a parable of the fig tree; When his branch is yet tender, and putteth forth leaves, ye know that summer is nigh: So likewise ye, when ye shall see all these things, know that it is near, even at the doors. Verily I say unto you, This generation shall not pass, till all these things be fulfilled. The fig tree, of course, is a spiritual picture of Israel. We have seen Israel literally blossom in these "last days". 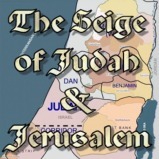 From 1948, when Israel declared independence, to 1967, when Jerusalem saw the end of over 2500 years of Gentile rule. But what promise did God make to the generation that would see Israel reborn? That generation shall not pass until all these things are fulfilled. 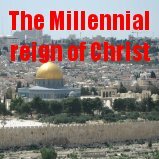 Friends, we are the generation that has seen Israel reborn, and Jerusalem's captivity ended. Therefore we know, without setting dates, that the Lord's coming is near at hand, and now is the time to get right with God. 1) The year 2009 should see the ratification of the European Constitution, fulfilling Scripture through the creation of the role of the EU President and Foreign Minister, or the "prince" of the people of the Revived Roman Empire (Daniel 9:26). The European Neighbourhood Policy lasts for a period of 2557 days, with each year containing 365 days, plus 2 days for leap years. The prophecy of Daniel runs according to the Jewish calendar, which contains only 360 days per year, giving a total of 2520 days. The Jews had a system of adding extra days to their years so that the seasons didn't drift - 30 days after every six years, and 30 days after four years on the seven succession. So there is still a possibility this could be Daniel's covenant with many. More specifically related to a peace agreement in the Middle East... Prime Minister Ehud Olmert addressed the Israeli Knesset and the nation on the 17th of July, 2006, following six days of severe fighting in southern Lebanon. The Prime Minister stated that Israel did not want conflict, but is hoping an "eternal covenant of peace" could soon be signed between Israel and its neighbours. "Covenant" is of course the exact phrase used in Daniel 9:27 (Fox News got the spelling wrong - the picture was grabbed by my friend Javier). And he (Antichrist) shall confirm the covenant with many (nations) for one week (seven years): and in the midst of the week he shall cause the sacrifice and the oblation to cease, and for the overspreading of abominations he shall make it desolate, even until the consummation, and that determined shall be poured upon the desolate. Javier Solana, the High Representative for the European Common, Foreign and Security Policy, is working feverously behind the scenes now to achieve a global lasting peace in the Middle East. It seems world leaders are not prepared to let the status quo continue. This second picture from my friend Javier, taken during the Second Lebanese War, portrays US Secretary of State Condoleezza Rice's opinion that we are now "seeing the Birth Pangs of the new Middle East". This is an explosive phrase when it comes to eschatology. Birth pangs in the literal sense are indicators of how close a child is to birth, and they increase in intensity and frequency as the child is about to be born. In the Scriptural sense, birth pangs are prophetical indicators of how close we are to a particular accomplishment in God's prophetic calendar, and these prophetical indicators also increase in intensity and frequency as we have been seeing. Both 1st Thessalonians 5 and Revelation 12 refer to the tribulation period, and describe the sorrow Israel must go through before she sees her Messiah at the Second Coming of Christ. And there appeared a great wonder in heaven; a woman (Israel) clothed with the sun, and the moon under her feet, and upon her head a crown of twelve stars (12 tribes of Israel): And she being with child cried, travailing in birth, and pained to be delivered. 3) Iran is expected to possess enough enriched Uranium to produce a nuclear weapon by around 2009-2010 (also here), if not by 2007, with knowledge on how to build a bomb already obtained on the black market. Russia and China are heavily involved in Iran's nuclear programme. Diplomacy has failed catastrophically in regards to Iran, and President Ahmedinejad is actively seeking war with Israel and the West. Israel is expected to take matters into its own hands, possibly fulfilling the prophecy of a Russian/Muslim invasion of Israel within months if not years, as foretold in Ezekiel 38-39. Ezekiel stated this war would occur in the "latter days", possibly just prior to the beginning of the tribulation period. 4) The EU is working towards implementing its 2010 Headline Goal, a military response group capable of being launched anywhere within the world in 5 to 10 days. The EU will soon have a force capable of fulfilling the Antichrist's invasion of the Middle East, after the Middle East peace covenant fails (Daniel 11:40-45). 5) The European Union hopes to have its Battle Groups concept, similar to the idea of the old Roman Legions, up and running by 2007. Thirteen Battle Groups are to be operational by 2010. Each Battle Group consists of around 1500 troops from one or more nations. 6) The EU is also working towards launching a new global communications system by 2010, called GMES, and will "provide authorities with necessary elements for a European Security and Defence Policy". Europe is well on its way to becoming a world military power. Russia is also aiming to deploy its own network of satellites by the year 2010, called Glonass. This will consist of 24 satellites which will significantly boost the Russian Federation's military capabilities. 7) Tony Blair says the world has just seven years, or until 2012, to fix the global warming problem before it will be too late. This corresponds with descriptions in the book of Revelation regarding the plagues that will cause men to blaspheme the name of God (Revelation 16:8-9). Some scientists feel we have already passed the point of no return. 8) The British government will implement a compulsory national identification card system by 2010. Many other nations are considering implementing a similar scheme. This mandatory national identification scheme will be a precursor to the introduction of the Mark of the Beast, possibly an implantable RFID tag. 9) Meteorologists are expecting the next solar cycle to be around 30-50% stronger than the last one, significantly disrupting weather patterns and knocking out communication satellites. This cycle is to peak in 2012. Quote: "There is disagreement on exactly when the new cycle will begin -- one key researcher predicted the cycle will start in late 2007 or early 2008, and another said it could begin either late this year or in early 2007. But they did agree that the most severe storms won't begin popping on the solar surface for several years, but when they do, they'll be huge. The solar storms in the past have knocked out huge power grids and screwed up global electronics and data communications, but "the next sunspot cycle will be 30 to 50 percent stronger than the last one," the scientists said in Monday's statement. 10) Israel is aiming at 2010 as the year to finalize its borders, even if it means doing it without the agreement of the Palestinian Authority. Prime Minister designate Olmert has insisted on holding on to East Jerusalem, which according to Scripture, will be recaptured by Gentiles by force (Zechariah 14:2). 2010 will put Israel seeking final status borders right in the middle of this seven year period. 11) There will be a lunar eclipse on the feast of Purim in March, 2007, over the entire Middle East. The Jews celebrate Purim as the day the Lord delivered them from their enemies and wicked Haman. The moon, which represents the Messiah in Jewish tradition, will be eclipsed over the entire Middle East on that exact date. I think its significant the lunar eclipse occurs during Purim, when the Jews all over the world will be celebrating the day God delivered them from their enemies. God veiling the moon (representing the Messiah) in darkness could be seen as a warning to Israel of the impending judgement the nation will face during the tribulation period before experiencing deliverance. 13) This from Herb's Fulfilled Prophecy website. The EU is aiming to implement numerous free trade agreements across the world by the year 2010, which will no doubt boost Europe's political influence across the globe. Someone once said, control energy and you can influence governments, control food and you can influence the individual. The North American Union, a regional government that Mexico, the US and Canada are setting up, is starting off as a simple trade and security pact. The European Union started out as a simple European Coal and Steel Community pact, where European nations agreed to pool their energy resources. We have no reason to believe we can expect anything less from these free trade agreements. 14) Experts are predicting global oil supplies may peak around the year 2010. This won't mean the oil supplies will run out, rather as the demand of oil - especially from booming economies like China - continues to outstrip supplies, the price of oil is expected to rocket. Quote: ""Oil supply will peak in 2010-11 at around 92 to 94 million barrels a day," he said. "We have just 1500 days to peak. Collectively, we are still in denial." 15) The year 2007 falls 40 years after the recapture of Jerusalem, in the 1967 Six Day war. Forty years in Scripture represents the length of a generation. Is it possible the generation that saw the recapture of David's city will be the generation that will see all these things fulfilled?